One of my favorite works of art is the French Gothic manuscript illumination Les Très Riches Heures du duc de Berry. 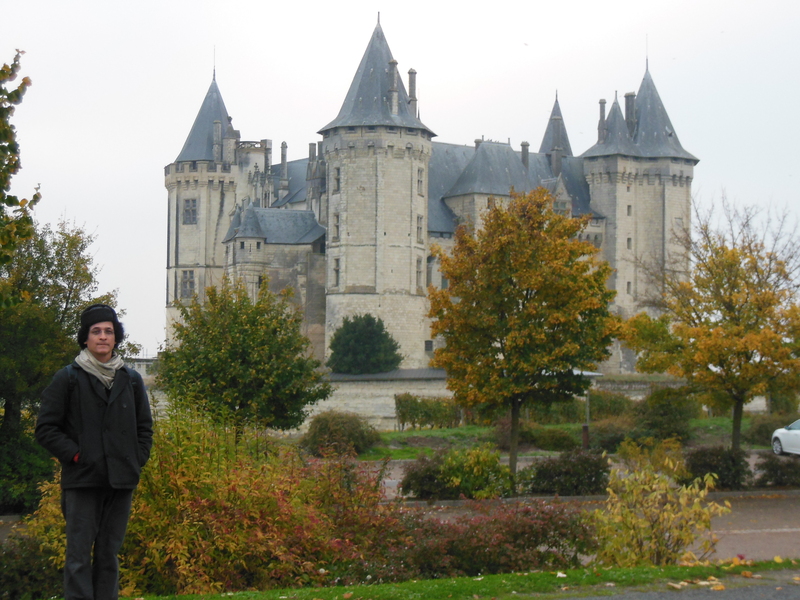 Today we visited the Château de Saumur, in Saumur France, which is seen in the illustration of September. A great day for in situ magic! How we got to Saumur: train from Tours. Where we slept: ibis Styles Saumur Gare Centre. Price: (It’s complicated–the going rate is €74 for a double, but we were transferred here at the last minute because of emergency at a different hotel, so we paid €60) Recommended: sure, if you can afford it. HOB at the Château de Saumur. There’s a tiny vineyard you can’t see because it’s cropped out on the left of the picture. 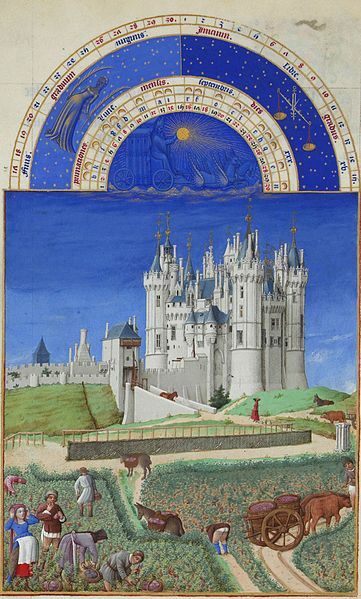 The month of September from Les Très Riches Heures du duc de Berry. (Photo courtesy of Wikipedia).